Sega Shuts Down European and Australian Offices to Focus on "Digital"
Sega first appeared to be running into trouble earlier this year. Sega of America faced layoffs, though not a total shut-down, as in the face of large losses the studio condensed its efforts onto four core series. While Sega of America is still in operation with its reduced staff, other Sega offices worldwide are proving not to be so lucky. The company is outright closing its offices in much of Europe (France, Germany, Spain, and Benelux) as well as in Australia. 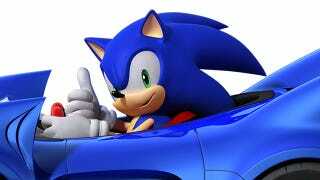 A variety of other companies will be handling the distribution of Sega games in Australia and Europe going forward. In a press release, Jurgen Post, chief operating officer of Sega Europe, reiterated Sega's commitment to four—and only four— game franchises, as first announced in March: Sonic the Hedgehog, Football Manager, Total War, and Aliens. Speaking with GamesIndustry International, he added, "It's a focus on those four core IP, and in addition to that we'll have digital. And digital still means 50 - 75 releases every year, so that's still a big number." In the end, Post revealed that Sega is caught in the middle of the same kinds of console-digital-mobile transition that is currently causing change all over the game industry. While the games are ever more popular, in many ways, they're harder to make. He concluded: "It's still a fantastic business, because if you combine everything it's massive and it's growing. But we had to make the changes we are making right now, in order to be better prepared for the future."